The state of Florida has long ranked on the top of the list of the most dangerous places for pedestrians. New data shows the state has not gotten any safer. Unfortunately, there are certain areas of Florida where the risk of a pedestrian accident is substantial. The Bradenton metropolitan area is one of those areas. According to Next City, the state of Florida continues to be the highest risk state in the country for walkers. Next City looked at data on pedestrian accident fatalities that occurred between 2005 and 2014. The death records revealed that a total of 5,142 people were killed in the state when walking. It is important to consider the number of people killed in terms of a state's population, as some states are much larger than others. When comparing the number of deaths to Florida's population, Next City found that there were 2.66 pedestrian deaths annually per 100,000 people in the state. Since greater proportions of the population walk in certain states compared with other locales throughout the U.S., Next City also compared pedestrian death rates to people who reported commuting regularly. They called the number they reached using this calculation the Pedestrian Danger Index. Florida's Pedestrian Danger Index (PDI) was the highest in the U.S., at 177.0. The national total PDI was 52.5, so Florida's danger index was much higher than in most other locations. The safest of the states, Vermont, had a PDI of only 11.4. Pedestrians in Florida need to know how serious the risk of a crash is. This is even more important for people who walk in some of the cities in Florida where pedestrians are especially likely to become involved in a deadly crash. Bradenton, for example, is the 10th worst metropolitan area for walkers in the entire U.S. Although other metro areas in Florida, like Orlando, rank higher, Bradenton is still #10 on a list of 104 different metro areas throughout the country. Drivers on the road will have to make a conscious effort to drive safely in order to help reduce the number of fatal pedestrian accidents. Local lawmakers can also consider making changes to roadways and taking the needs of pedestrians into account when planning infrastructure projects. Florida should be a nice place to walk, given the warm weather throughout most of the year, and those who want to walk for exercise, commuting or recreation should not have to fear for their lives. 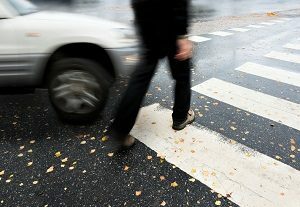 If a pedestrian does get hurt, they should know their rights and should consult with an experienced attorney for assistance with a claim for compensation.